Space fans, future dreamers and other guys interested in all that – today’s item is for you! 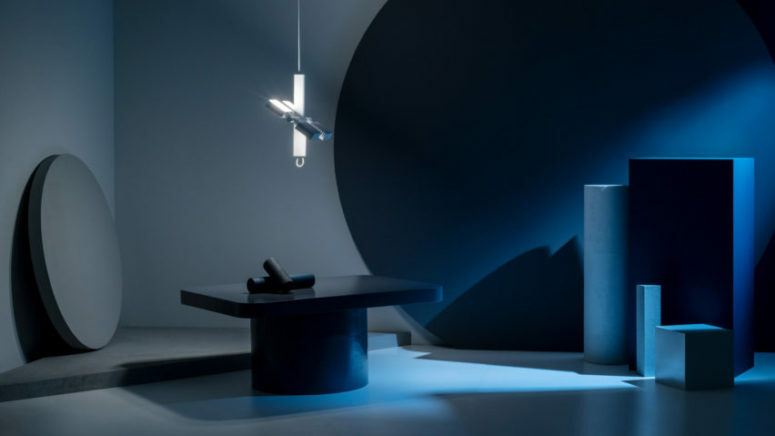 This unique lamp by SCMP Design Office was inspired by the International Space Station and contemporary aeronautics. 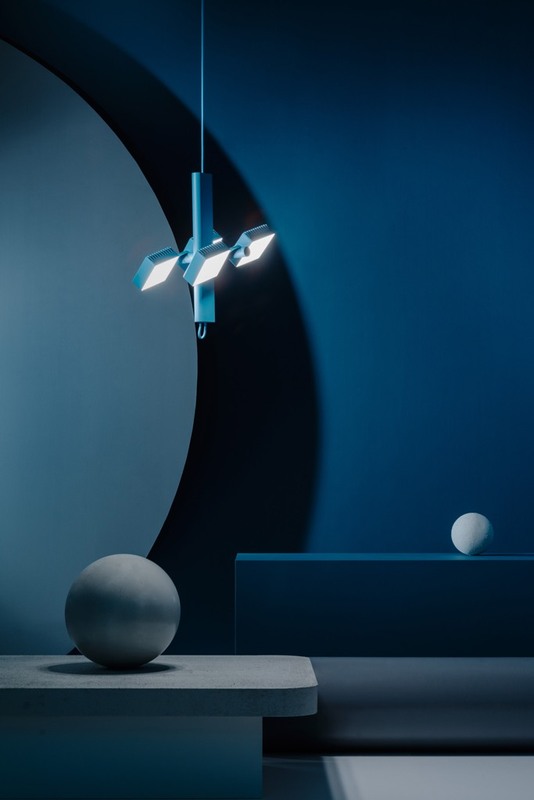 The Dorval pendant light, which was the first design in the series, features four of these heads arranged around a cylinder that is fixed to a rectangular core with rounded edges, like elements on a satellite or space station. Each head can be angled to redirect the light, and the cylinder can also pivot to change the array. Dorval is available as a pendant light, a track lighting array and a table light. 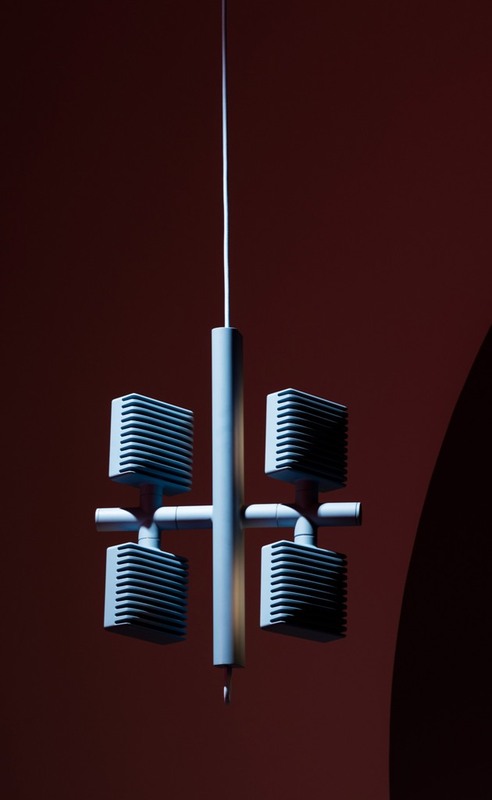 Each version features the same 11- by 11-centimetre lamp head made from a single piece of powder-coated aluminum. The table lamp features a single head on a powder coated stand made from two slender cylinders and a circular base, while the track version can accommodate multiple heads on a horizontal core that is suspended from the ceiling with cords at either end. The back of the heads is ridged to act as a heat sink, meaning that the light remains cool to the touch even if the LED inside is switched on all day. An acrylic glass cover with a subtle lattice helps diffuse the light. Each version of the design has a warm and cool light setting to allow the user to change the effect of the lighting.